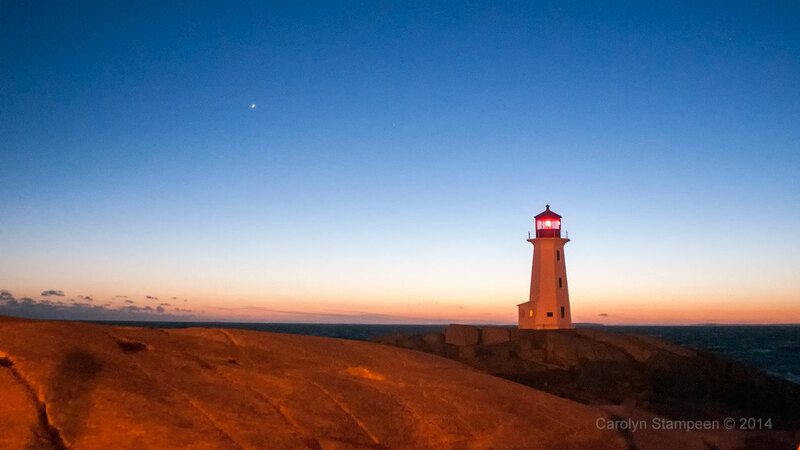 Our Peggy’s Cove travel video mentions how nice it is to sip a hot beverage at the Sou’western restaurant when it’s cold. 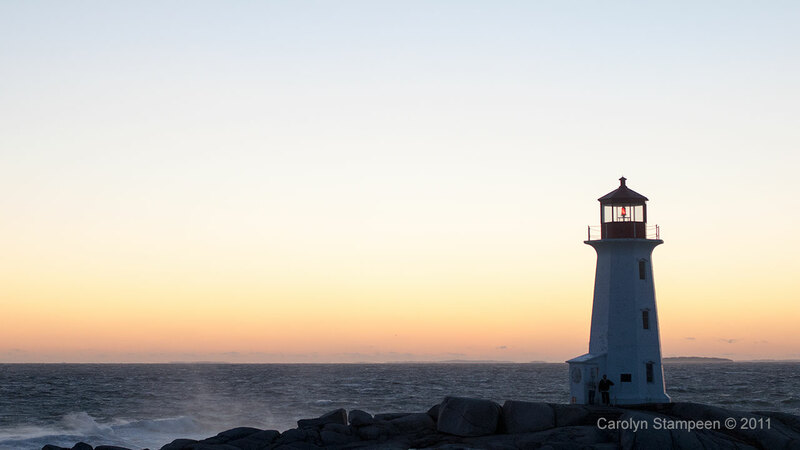 We ventured to Peggy’s Cove on a cold December evening in an effort to catch dramtic lighting on the lighthouse. That’s not true, hehe. We were actually visiting our friend Darryl and decided to eat out for supper. 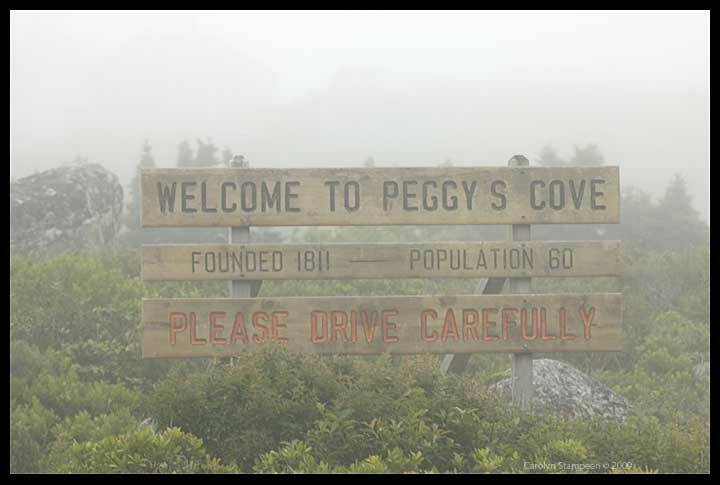 In December, most of the restaurants in the area are closed for the season, with the exception of the Sou’western at Peggy’s Cove, so we decide to head there. 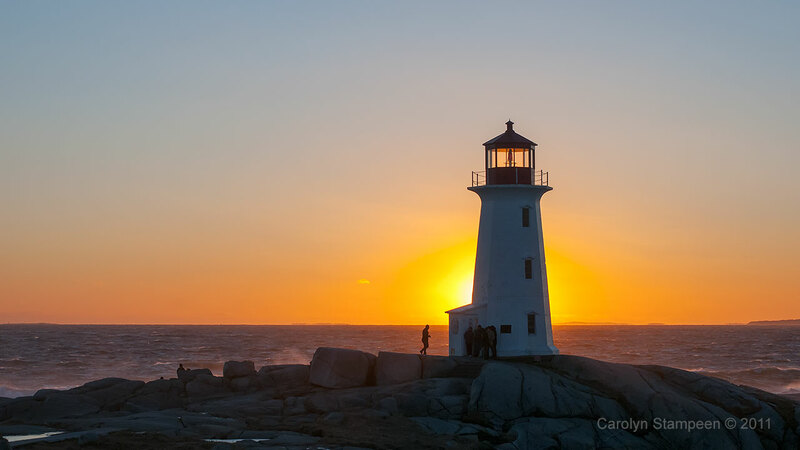 We just happened to be there at a spectacular time of day to catch the dramatic sunset against the lighthouse. It was very windy when we were here, as you can see with the waves spashing on the rocks below. 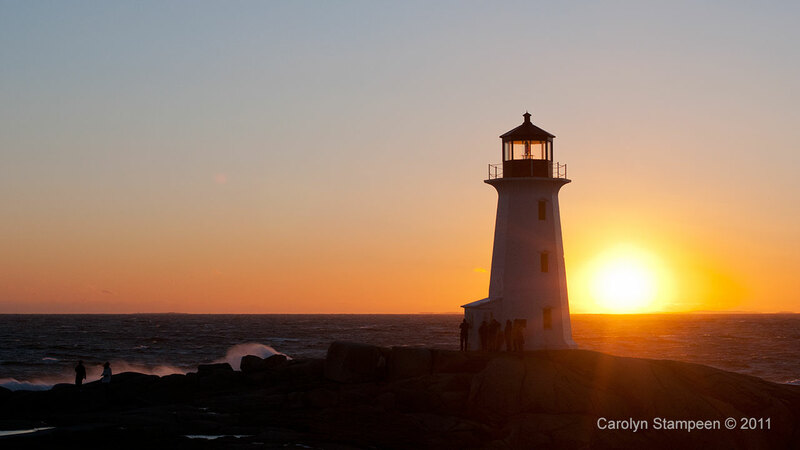 Catching the Peggy’s Point lighthouse in silhouette at sunset is simplay an amazing spectacle. 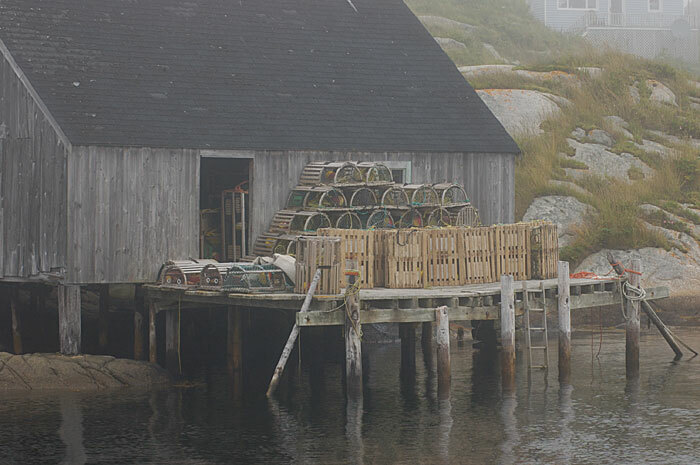 This is truely iconic Nova Scotia ! 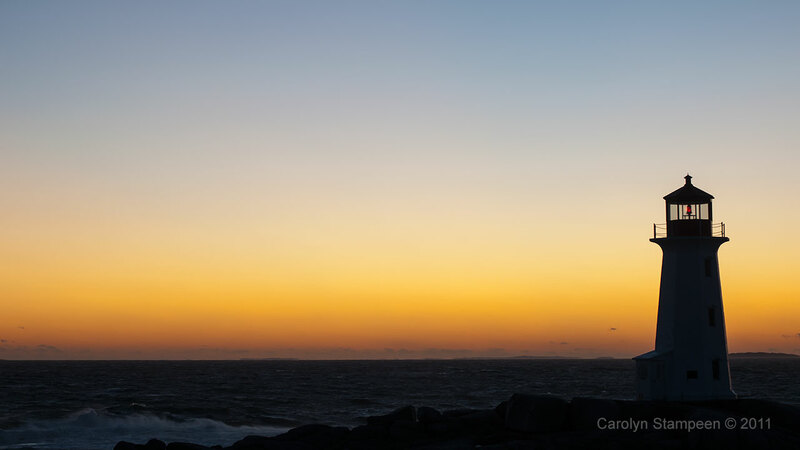 When the light fades after dusk is when it gets really remarkable for photography. Walking around the village in the daylight hours you’ll find interesting shops to explore with everything from simple tourist souvenirs to works of art from Maritime artists, as well as unique perspectives for photography. 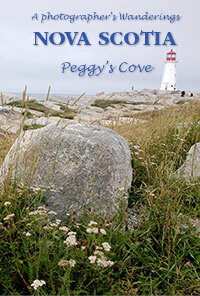 You may also be interested in our original post on Peggy’s Cove as well. 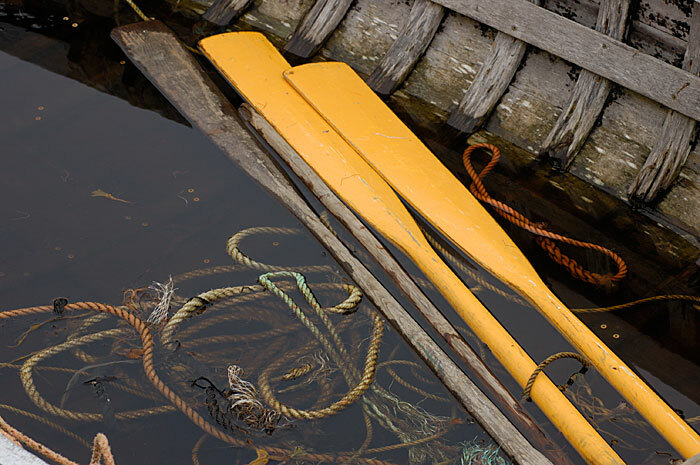 This entry was posted in Harbour, Lighthouse, Travel video. Bookmark the permalink.